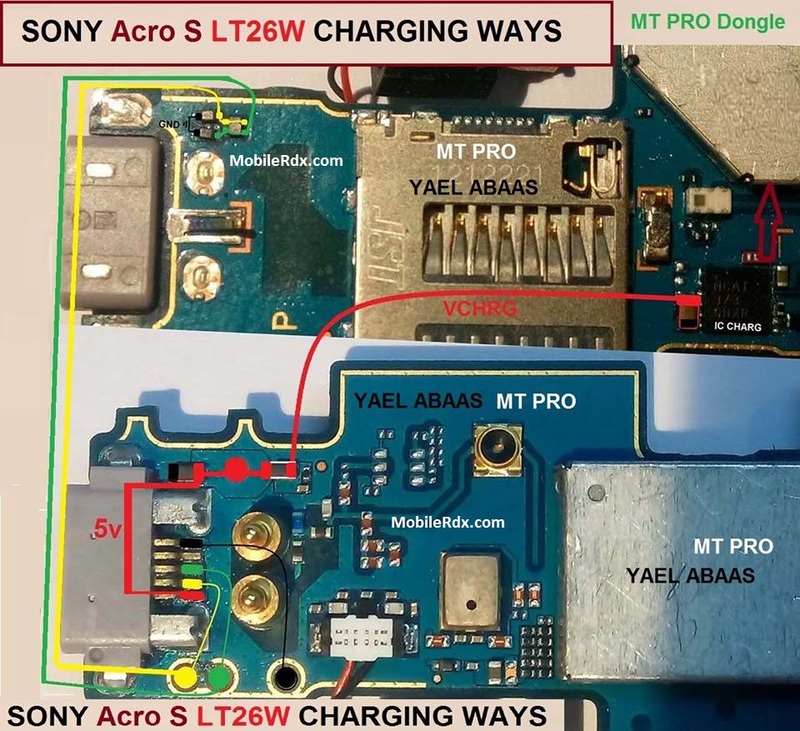 Sony LT26w Charging Ways Charging Jumper Here is the solution for Sony Xperia acro S LT26w Not Charging problem like there is No Charging indication shows on the display when the battery charger is being a plug-in. This problem is may cause by a faulty charger or faulty components on Sony Xperia acro S LT26w PCB board. This problem may sometimes happen if the device suffered wet or water damaged or just exist. If the charging is slow then all you have to do is to check with any other Sony charger, but you have to make sure that the charger is original, as slow charging issues almost always occur with phones using 3rd party chargers.